Every so often a person enters your life and touches your soul in ways you were not aware of until sadly that person passes, leaving you with a big sense of loss even though you were not particularly close during the living years. 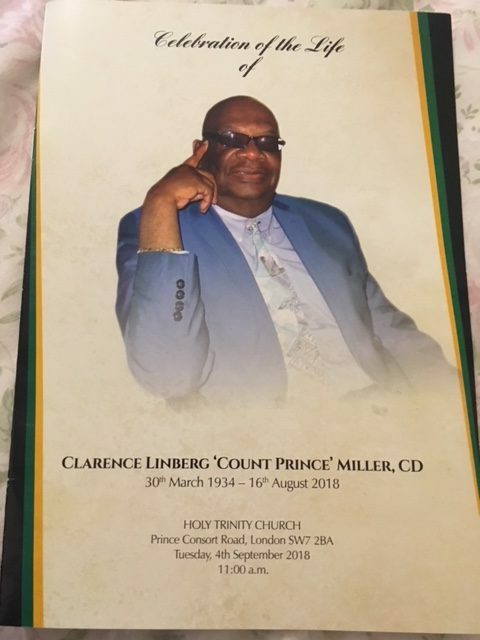 In this case, the person is Count Prince Miller, a trailblazer actor/entertainer who achieved critical and popular success for his longstanding career which began in his native Jamaica in the early 60s. He first gained popularity for his distinctive rendition of Mule-train. The reggae version became a staple request from audiences all over the world. 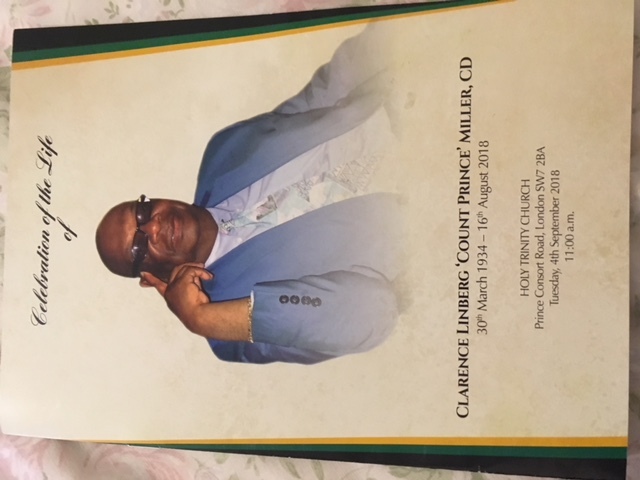 Count Prince Miller broke onto the international scene as a result of his wide repertoire of singing, acting on screen and stage, presenting and being a master entertainer. Viewers from the 80s and 90s will remember him for his portrayal of ‘Vince’ in the TV comedy, ‘Desmonds’ and in the spin off series ‘Porkpie’. He was also linked to the James Bond series through a brief appearance in the Dr No film of 1962. Since his passing, I also learnt that the Count played an instrumental role in staging the Caribbean Music Festivals at Wembley in the late 60s – early 70s. An event I had no knowledge of until reading the many tributes dedicated to his life. He had also shared equal billing with the likes of Ray Charles, Chubby Checker and Chuck Berry at concerts at the Jamaica Hilton, during his heyday in Jamaica. In real life Count Prince Miller was unassuming and self-deprecating in terms of his achievements. But to my generation he was a pioneer. Without fanfare he opened doors and paved the way for younger artists to make their mark in the tough and unforgiving industry of show business, particularly if you were a black performer. I had the privilege to work with Count Prince Miller in the long running show ‘ Black Heroes in the Hall of Fame’ written and produced by JD Douglas. Miller was cast as Marcus Garvey and in my mind, gave the definitive performance of the man in a role he was to reprise in the JA story, also written and produced by JD Douglas. In every performance, Prince Miller infused his particular brand of warmth, exuberance and showmanship, winning audiences young and old alike. 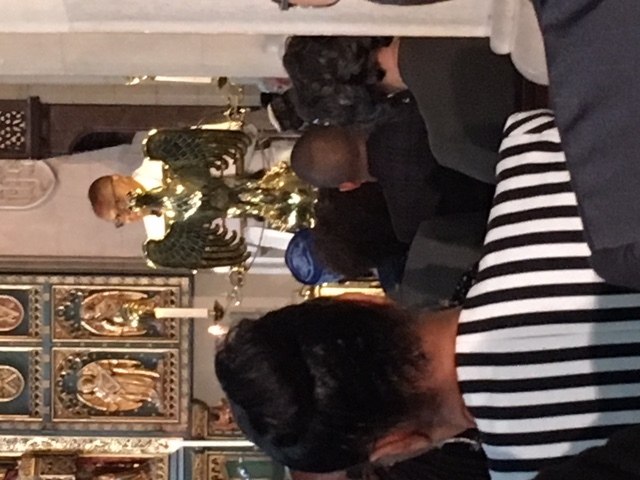 A memorial service to celebrate his life was held at the Holy Trinity Church in South Kensington in London on 4th September 2018. 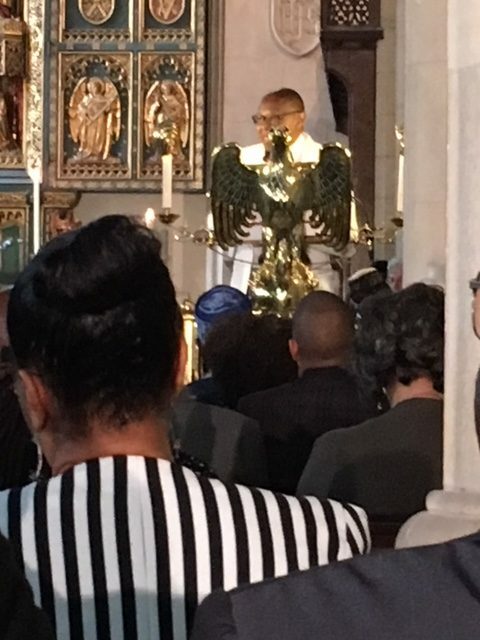 The service was organised by the Jamaica High Commission in London in recognition of his massive contribution to the entertainment industry. Count Prince Miller had actually been awarded the Order of Distinction (Officer Class) from Governor-General, Sir Kenneth Hall in Jamaica for his services to entertainment in 2007. 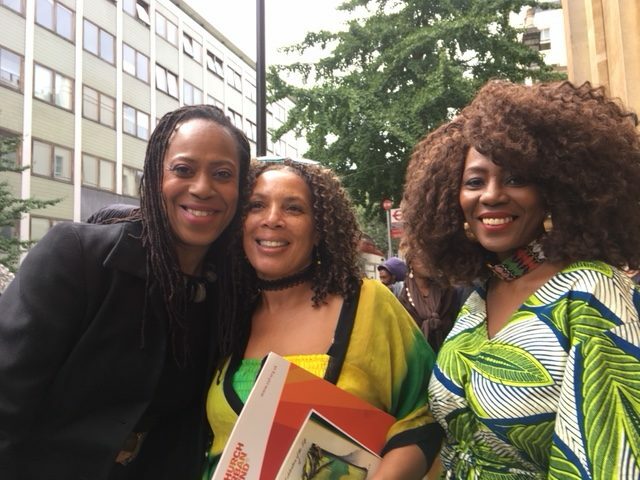 The great and the good came out to remember his extraordinary life including celebrities from ‘Desmonds’ TV comedy and the cast of ‘Black Heroes’. JD Douglas gave a personal and moving tribute to his friend and the choir of Black Heroes gave stirring renditions of numbers from the show including the hit song, ‘We Need Hall of Fame’ to which no doubt the legacy of Count Prince Miller will surely be added. 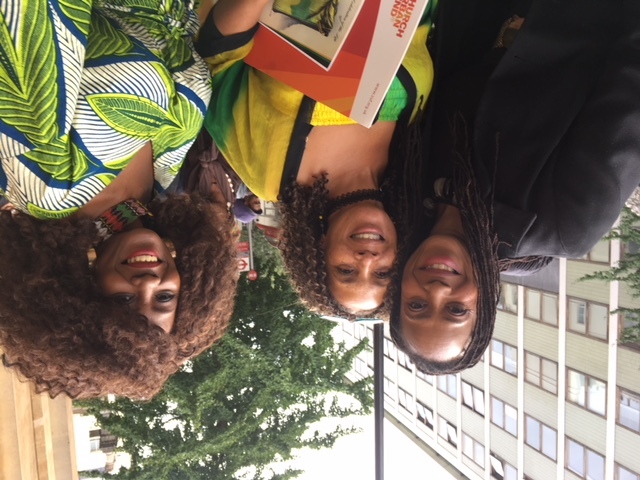 Wearing the colours of Jamaica – Paulette, Sharon and Ingrid from the cast of ‘Black Heroes pose outside the Holy Trinity Church in South Kensington.